A peep into the scandal hanging over Tehelka, India’s premier investigative newmagazine. 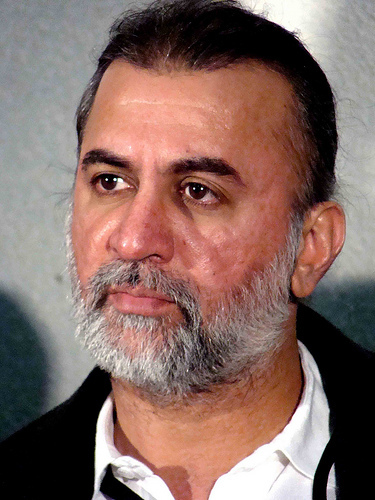 His epigrammatic quip came in the wake of the third resignation/firing in a month of a top Indian editor: first there was Siddhartha Varadarajan of the Hindu, then there was Hartosh Singh Bahl of Open magazine and today the sensational ‘recusal’ of Tarun Tejpal, the founder editor of India’s number one investigative, muckraking magazine–Tehelka. The first two are widely believed to have been politically motivated, but the Tejpal case is a different kettle of fish altogether. The prominent editor is accused of having assaulted a junior journalist not once but twice, according to reports, suggesting she comply with his desires if she valued her job. The assaults are said to have taken place in a hotel elevator in Goa where a team from Tehelka was working on Thinkfest, a forum started by the magazine. Early reactions suggest that Tehelka might try and treat this as an “internal affair” with the Managing Editor Shoma Chaudhury dismissing it as “an untoward incident.” The problem with this is that Tehelka is now behaving exactly as the targets of the numerous stings it has become famous for do, being evasive, euphemistic and tight-lipped. “I don’t know how this concerns you…I don’t think you can ask me these questions,” Chaudhury is reputed to have said in response to a reporter’s probing queries. Will Tehelka editors ever have the moral authority to demand answers from public officials and others in the wake of TehelkaGate? The following tweets speak for themselves–Let’s see what tomorrow brings. I hope the young woman in question has the strength to recover from all this. She has been very brave to come forward and talk about what happened. It would be great if other women who have experienced similar traumas, either at the hands of Tejpal (surely this wasn’t an isolated incident) or others, would step forward now and make their stories public. The brave young journo wouldn’t feel so lonely then. #Tejpal episode. All that we in the media accuse others of, on display here: double standards, fake morality, refusal to submit to law. Surprised that editor of rag excelling in stings, snoops and slander was unaware that hotel lifts have CCTV cameras! Looking forward to Tehelka’s expose on sexual harassment in the workplace. …You live by the broad brush. You die by the broad brush. Next Next post: Jamaica Get All Right…? ?